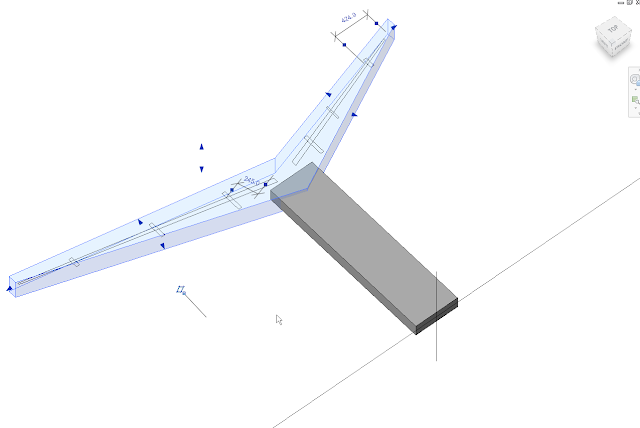 I struggled for a while trying to figure out how i could use the same "RAIL" logic of modeling repeating linear elements in Revit. 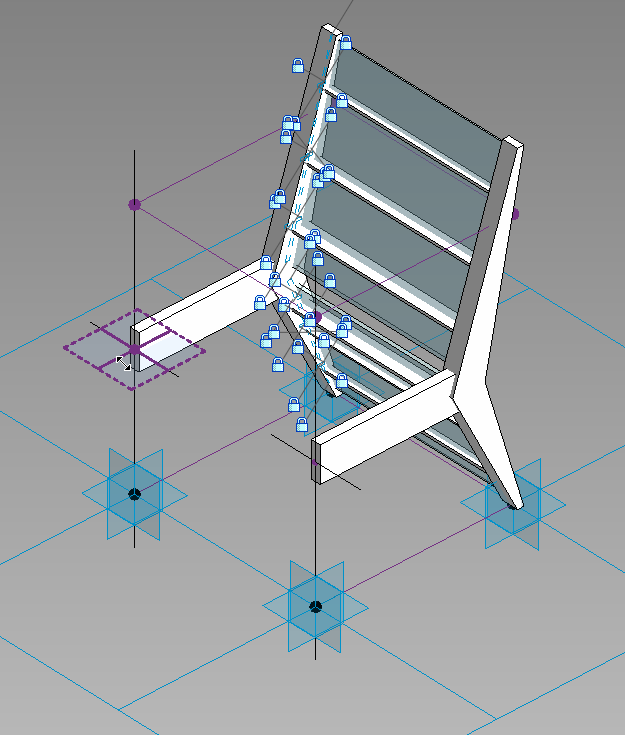 It seemed to me that the rail tool in Revit is a bit more rigid in what type of objects it accepts....maybe i am not looking close enough...and then one day POW! It hit me like a bolt from the blue. CURTAIN PANEL PATTERNS could be the way! 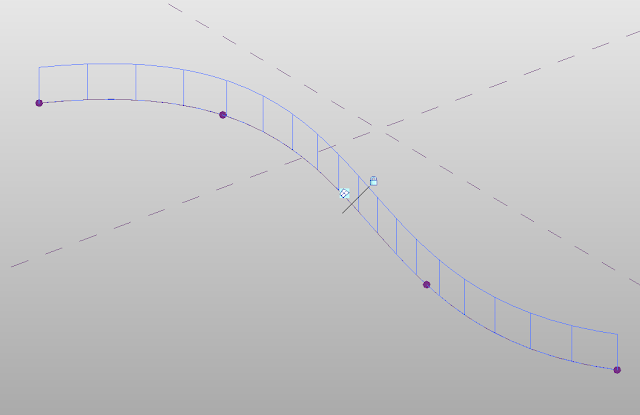 Because i made sure to use a Reference Line, I can grab any of the driving points and adjust the curve manually later. These points could also be parameter driven if you want that kind of control. The bit I am concerned with starts on page 6. Have you looked it over? Good. 1) The object is being built in plan. This is because of how i planned to mount it on the reference planes in the curtain panel. The lesson is that in this exercise UNDERSTANDING YOUR HOST PLANES, HOST POINTS AND ORIENTATIONS ARE CRUCIAL!!! 2) The top mass is transparent so you can see the line work I drew. These lines will control the shape and location of my glazing panels and horizontal mullions. 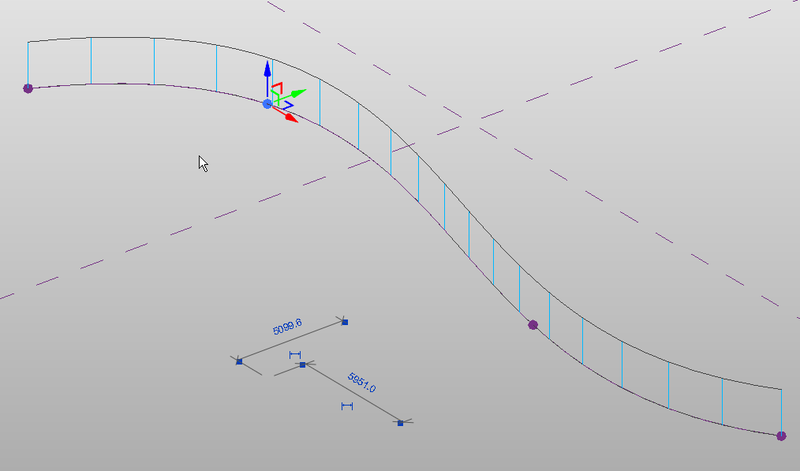 Its easier to set up any desired sectional parametric relationships here. Trust me! Now if you have read Zach and Robert's Handout, you will be very clear of about whats going on in the picture below. 1) I set up the offsets for the reference points as they describe. 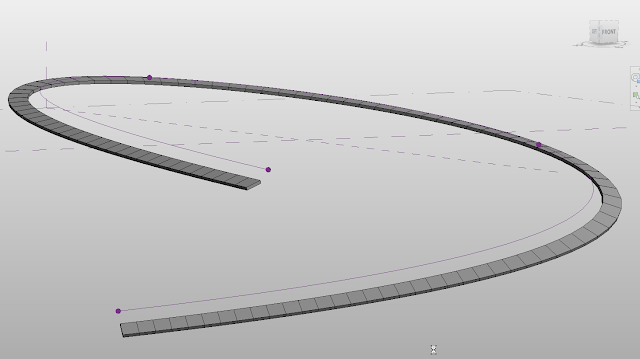 2) Then i connect the offset point to the adaptive point upon which it is hosted with a reference line. 4) Host my generic mass on that point, in proper alignment. 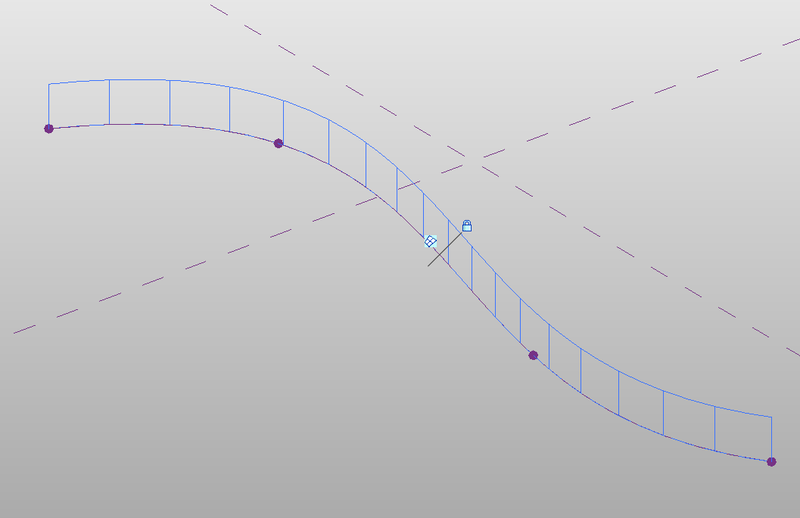 5) Create reference lines on any section guidelines and create desired horizontal forms. Now another thought for you: If instead of a single surface for your host, you could have used a three-sided (or more!) sweep. Then your adaptive component could be a 3-point placement component (or more, depending on driving geometry). Then the top edges of your canopy could be adjusted to undulate up and down by controlling the edges of your host form. One thing you could do to clean the model up a bit where the posts overlap, is to apply an On/Off instance parameter to one of the posts in the Curtain Panel Pattern Based family. Make sure it's turned Off by default. This way you don't get any overlaps happening, and you only have to manually turn the On/Off parameter On for the last instance. 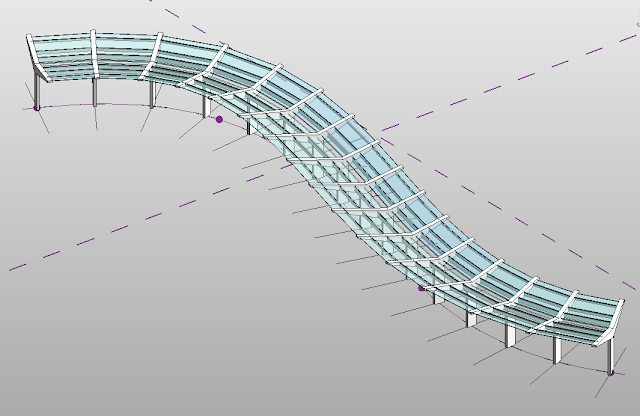 "These lines will control the shape and location of my glazing panels and horizontal mullions. 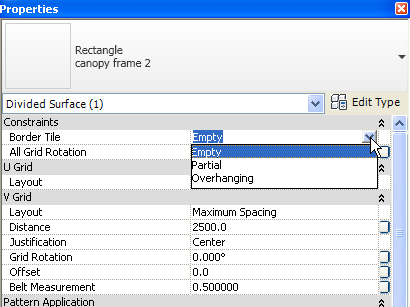 Its easier to set up any desired sectional parametric relationships here. Trust me!" How about using a NESTED divided surface to parametrically control divisions in the glass? ?